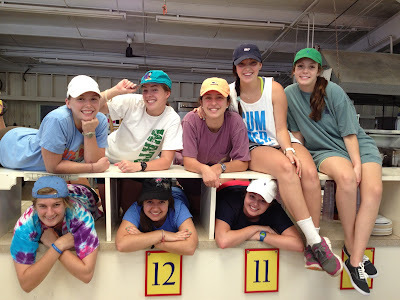 Barn 13 Blog: Everybody wants to be a Kitchie! Everybody wants to be a Kitchie! At K-Kountry and Kanakuk there are three main principles that define who and what we are at kamp: faith, family, and fun. We absolutely adore going crazy and having fun from the moment we wake up, to the moment we go to bed. On top of that, we can not say enough how gratifying it is to have the opportunity to pour in to kid's lives with spiritual enrichment and investment. One aspect of K-Kountry that does not get as much publicity as the other two, however, is the family we create amongst all of our staff here. One part of that family are the Kitchies, as we call them around here. 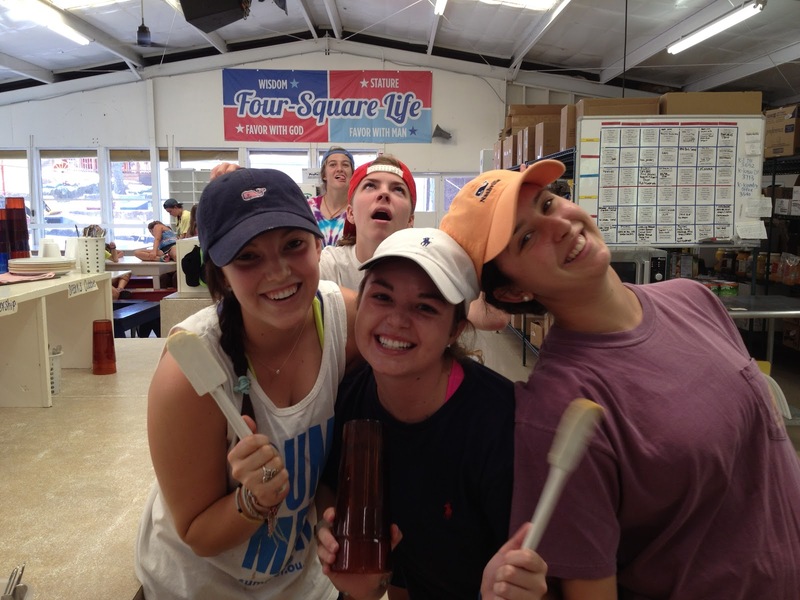 Kitchies are amazing young college student women, who have decided to work at K-Kountry for the summer and serve all of kamp from the kitchen. These incredible girls are so unbelievably humble, and would never boast about themselves for a second...and that is why we are going to brag on them for a bit here on the blog! The daily life of a kitchie is not one that is all about glitz or glamour, but is one that undoubtedly deserves high praise in every possible way! 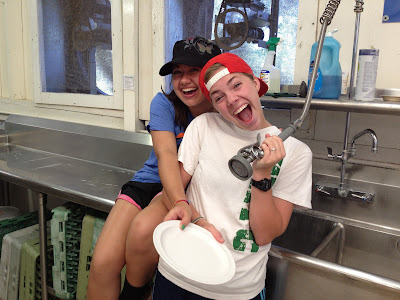 Waking up an hour before anyone else in kamp, the kitchies work hard to prepare the dinning hall and all of our food. From there though, is where the fun/craziness begins! Just like counselors, kitchies are given barns that they are a part of; basically becoming a third or fourth counselor for that barn. So after the dinning hall has been cleaned after meals, kitchies will jump in on activities and be with kids having fun the rest of the day! Whether it is busting out in to mop dances while blasting music after lunch, or jumping in a barn at night to be another counselor, kitchies do so much for us at kamp...and have so much fun while they are doing it! Without the kitchies our lives simply would not be as much fun, and simply would not be possible! 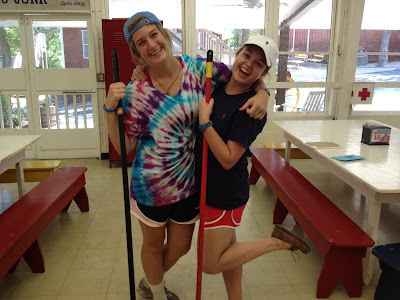 As I had said before, the kitchies will never be the ones to tell you how much work they do for us at kamp...but any chance we get to, we love to make sure they understand how appreciated they are! So kids, counselors, and parents, anytime you see a kitchie, be sure to tell them thank you for all that they do. Because without them, how would we be able to get our peanut butter and jelly sandwiches the way mom always makes them?